We have a three bedroom house. The rooms aren’t the smallest, but it’s a reality. With six people, that means we have to some bunking up. The older two girls have shared a room since E’s arrival (almost three years ago). And, E, our fabulous little sleeper has been lounging away in her own room solo. If she is woken up early, it is not good. 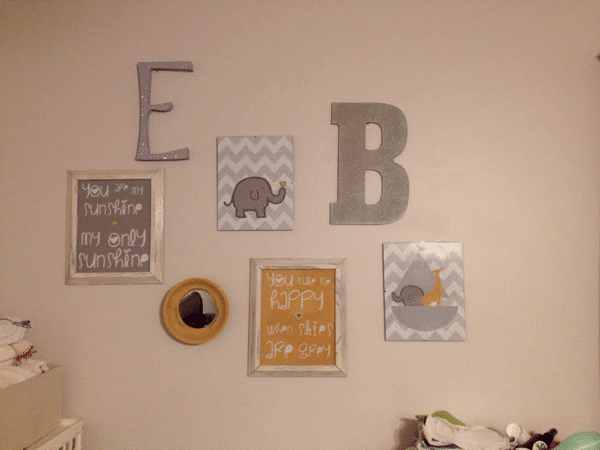 So, we’ve been hesitant about bunking E and B in the same room (despite my cute wall decoration and coordination). Of course, there has been a crib in there for B since before she arrived. But, they have only slept in this room together one time as an experiment. From birth, B slept in our room. 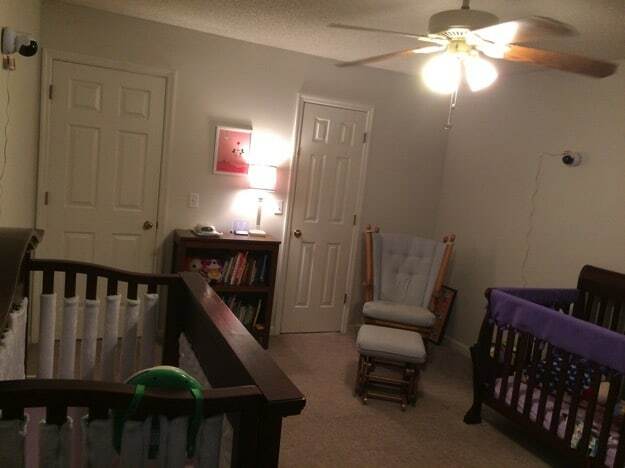 Once she was on a schedule, during her morning nap, she would sleep in her crib in the joint room. E wasn’t in the room because she doesn’t take a morning nap. Then for her afternoon nap and night time, she was in a portable crib in our room because E was in the joint room. Since Thanksgiving, B now rotates between three different sleeping locations because I can’t figure out how to arrange everybody. For her morning nap, she’s in their combined room in her crib. For her afternoon nap, she’s in a portable crib in our room, for bedtime, she’s in a portable crib in our bonus room (a catch all with my desk, a guest bed and exercise equipment, but not closed). It’s not feasible for her to keep that room because we use it throughout the day for so many other things. 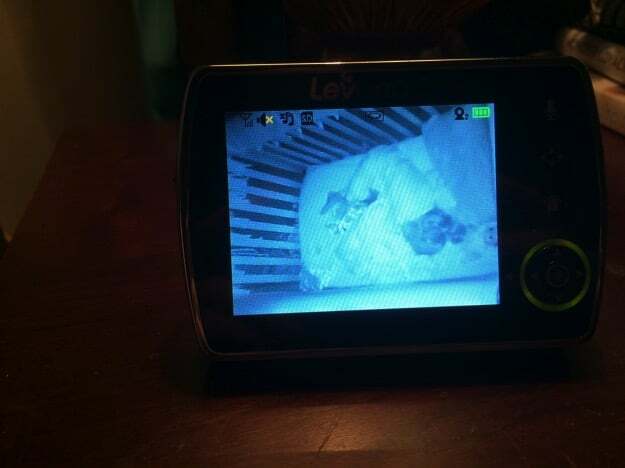 Ideally, the two littles share a room for their night time sleeps. 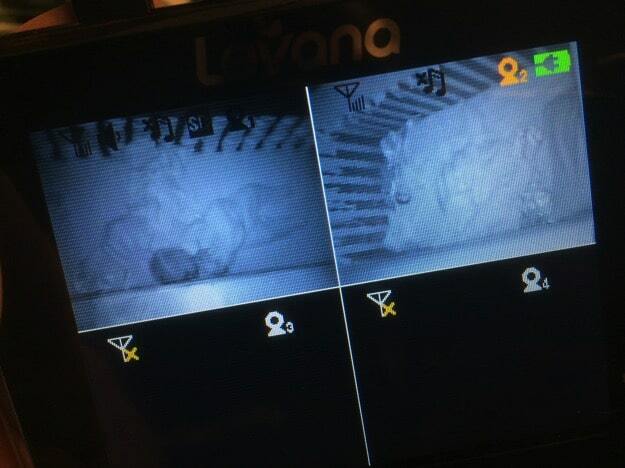 And, I can check on both of them with the Keera 2 Camera monitor that is set up in there. 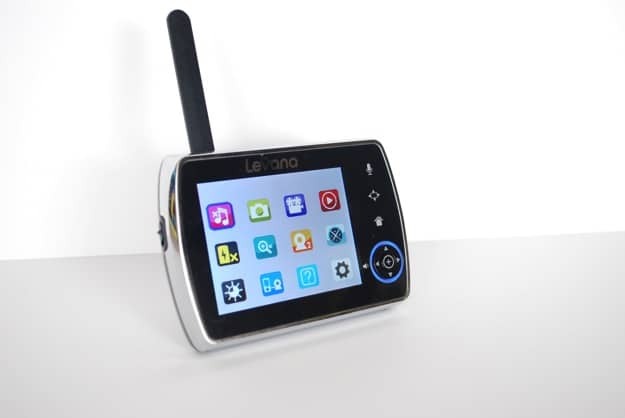 Levana’s 3.5” touch panel Pan/Tilt/Zoom video baby monitor. Touch panel buttons and simple graphic icons make selecting any of the many features easy and intuitive, even if you are distracted. Smooth & Silent Pan/Tilt/Zoom Camera Remember when your mother told you she had “eyes in the back of her head”? Now you can increase your own parental superpowers with a pan/tilt/zoom camera. I like that it comes with the two cameras for looking in on them and that I can easily switch between the two or that it will rotate between them. I wish that the screen that shows all four cameras had an option to just show two. We also use white noise, which means that the PEEP mode (when it’s not detecting any noise) doesn’t really work. The sensitivity can be adjusted, but I find it’s a fine balance between ignoring the white noise and not hearing crying. Also, it doesn’t come with a manual. I know, most people don’t need them, but I like to be able to look. It is available online and allowed me to see how to switch between which camera was the one being focused on when viewing multiple cameras. The circular button for adjusting the menu is a little small. I found myself accidentally hitting up when I meant to hit one of the side buttons with my fingers, but once I figured it out, it was okay. Since I can monitor both of them, I’m feeling like maybe I can put the two littles together. But, I’m hesitant. Any suggestions for me? Just put E and B together and deal? Keep rotating the sleep locations? Move E in with the older two and leave B to have a room to herself? Kill the bonus room and make it a room for kids to sleep in and get rid of the guest bed, desk and elliptical machine? Or just magically sell our house and find a bigger one. Wow, I don’t know an answer. I guess if you really want the youngest two in one room, just do it one day and expect a few bad nights. Surely they will eventually adjust. Good luck! That monitor is super cool, though! We have all three girls in one room with our son having his own. It’s crazy at bedtime, we put the 3 and 5 year old to bed at the same time and the 11 year old girl later. When younger, we put our youngest with our son. Basically put kid a and c together and kids b and d together. Worked for us at the time. Mine eventually got used to sharing a room and now they are just so used to it, they have trouble sleeping apart. When one wakes the other up, they just go back to sleep. Big sis actually tells little sis to go back to sleep if she cries, and she listens. It was a rocky start and I thought about separating them pretty much every night, but in the morning I’d decide to stick it out. Now the worst problem I have is when one is sick and coughing all night, I want her to sleep in our room, but they don’t like being separated. We are in the same position. For the summer, we had all 4 in one room. That made it easier when they were all on the same schedule. But since school started we now have the 2 school aged kids in one room and the 2 littles together. The reality is sometimes the littles get woken up and that stinks. Sometimes the big kids can’t play the Wii because the baby is napping. Sometimes both Littles rebel and feed off each other refusing to go to bed. And sometimes it works perfectly. I bet B and E will be fine. The bonus is that my 3rd has learned to sleep through everything, including middle off he night crying fits from his brother. Selling your house and moving isn’t magical..it’s possible. It seems like the best thing if the buying/selling time is right. Or, get rid of the bonus room. It’s a silly room anyway. Have it made into a bedroom and have the door made into a window. I don’t think it would be THAT difficult of a project for a good contractor. I think you and Papa Bear would be very happy with it as well. That is an amazing monitor! My kids are close enough that I can hear when they roll over…. so we never got a video monitor. However.. I would love one now to see what kind of trouble they are getting into!